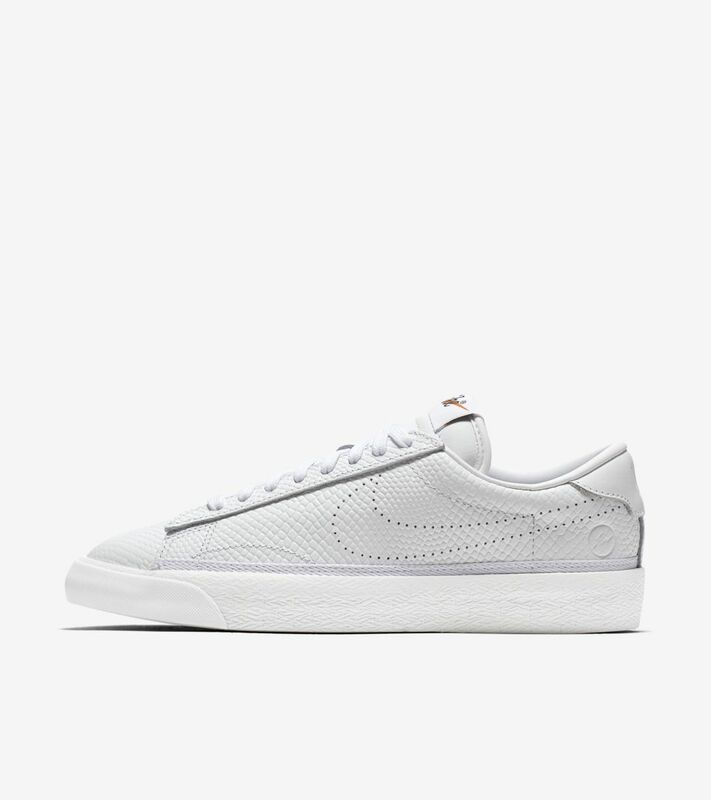 The Tennis Classic was born through unmatched court competition. 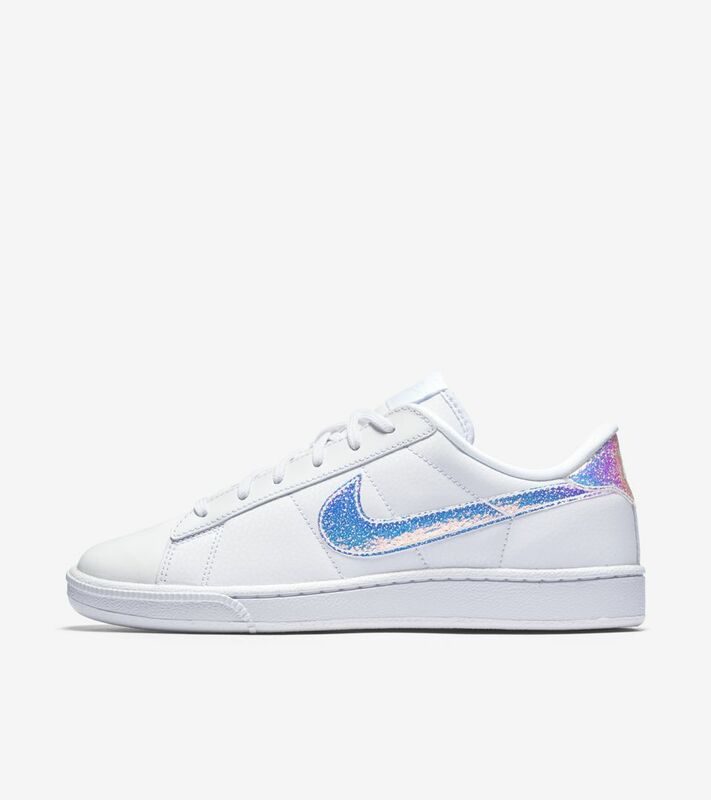 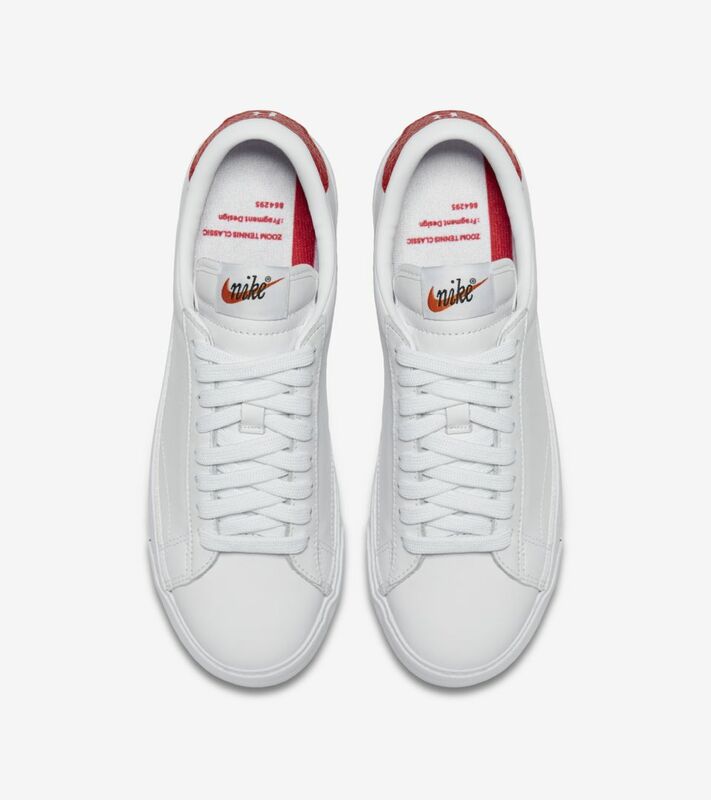 The 1982 release now lives on as a modern, lifestyle option for women, created in collaboration with famed fragment design head man Hiroshi Fujiwara. 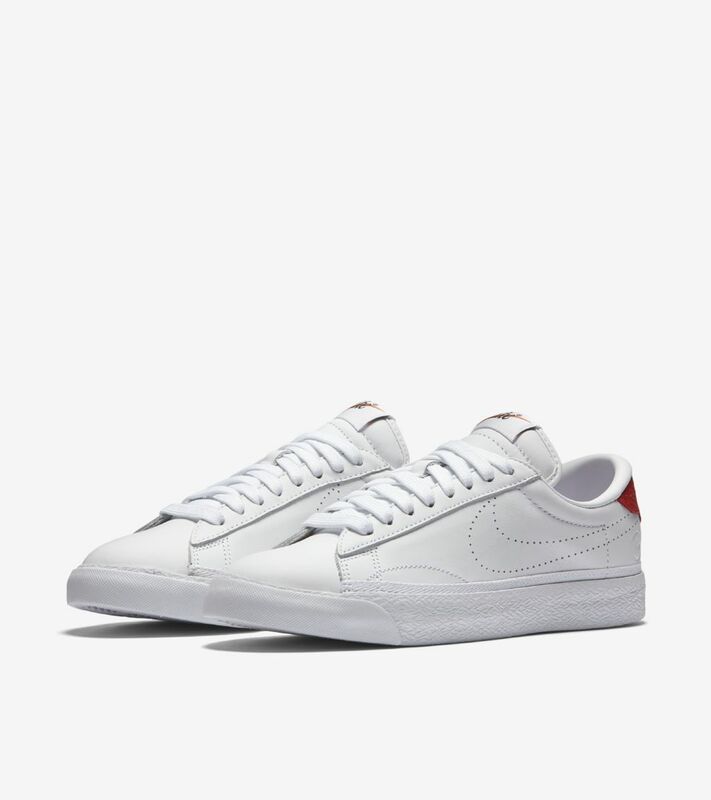 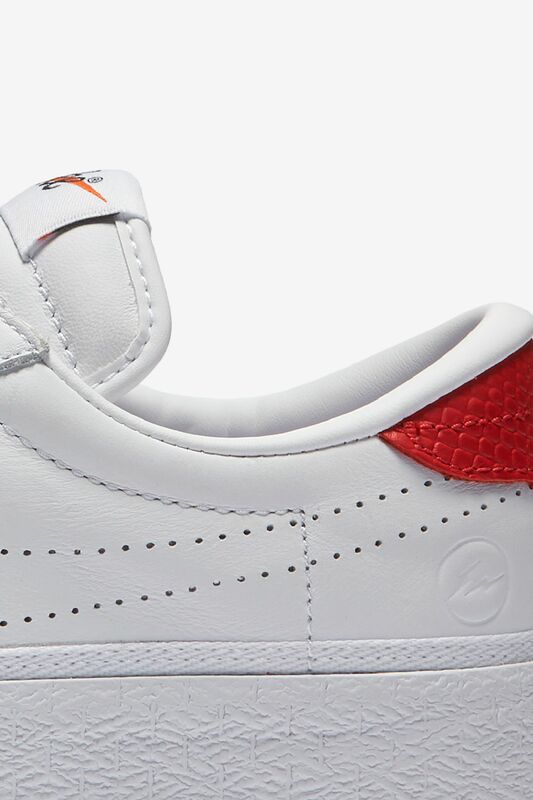 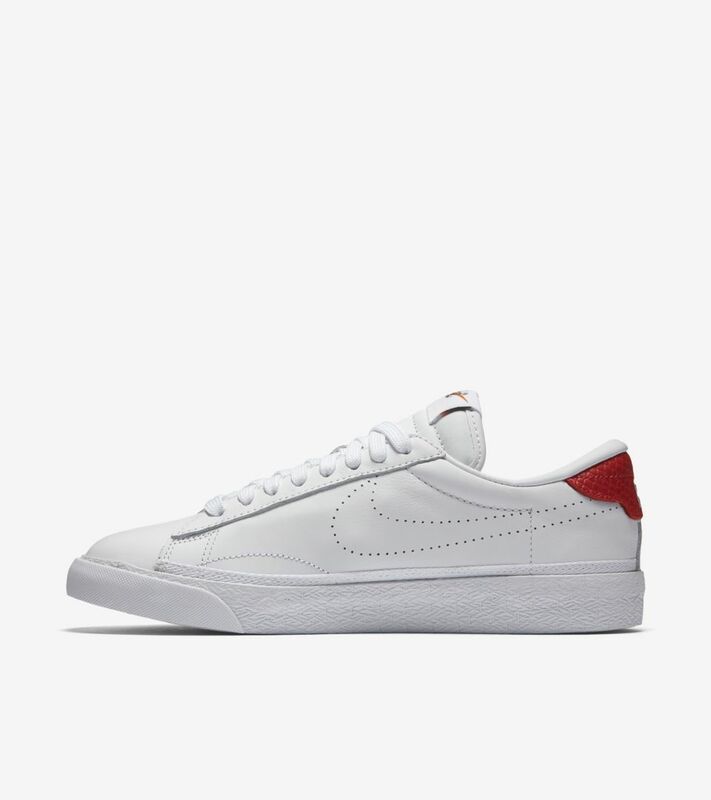 The fragment design Tennis Classic features a premium leather upper with university red accents in suede. 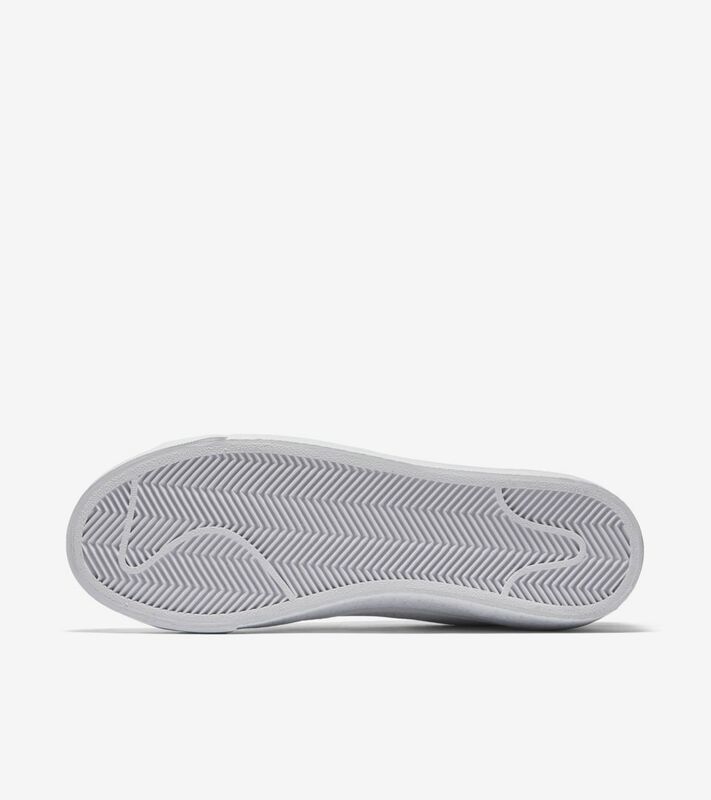 Down below, an AC sole is equipped with Zoom Air cushioning. 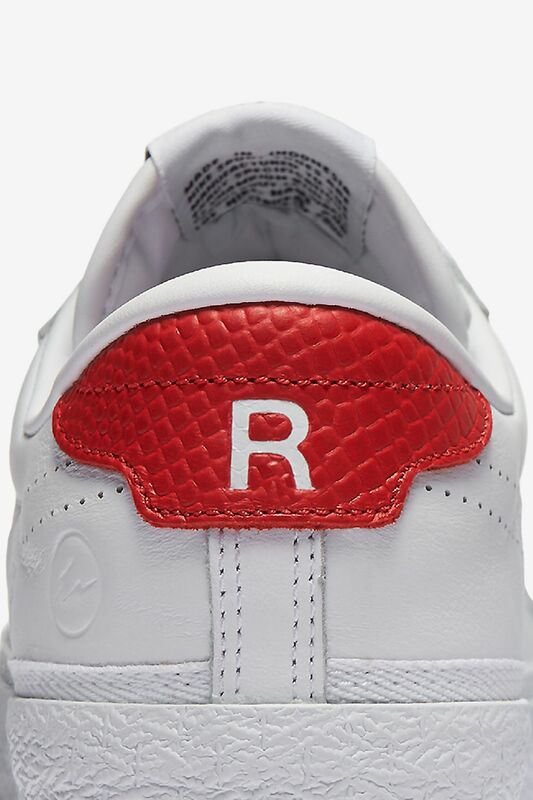 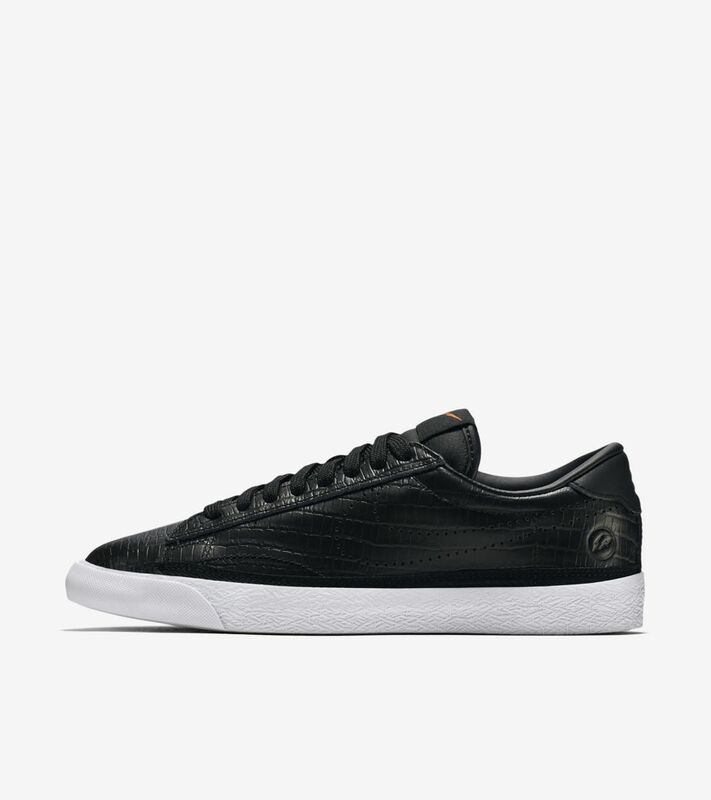 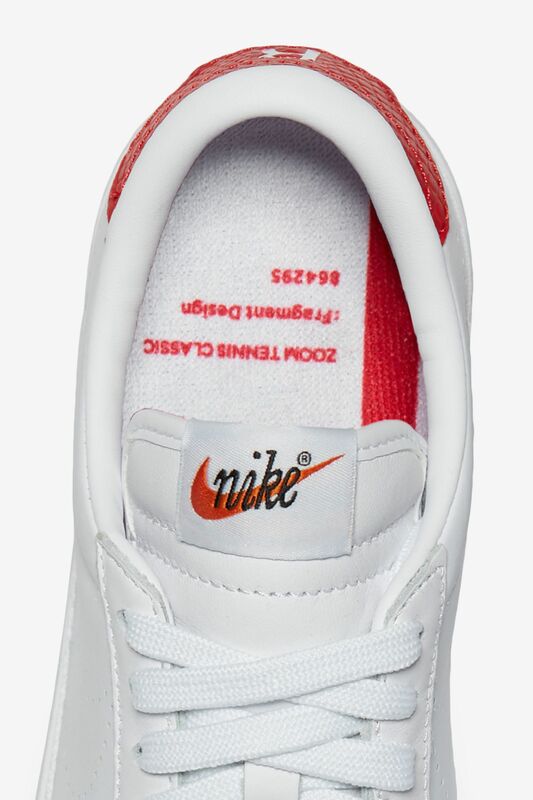 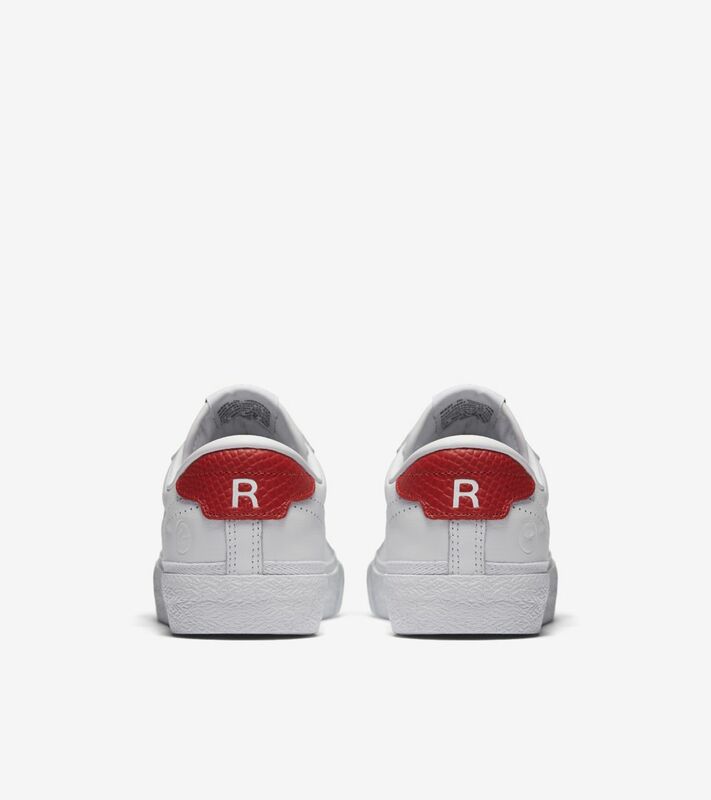 Fragment design branding is embossed at the heel.